When you think back on your memories of summer camp, what stands out the most? Forging friendships? Canoeing? S’mores by a bonfire? 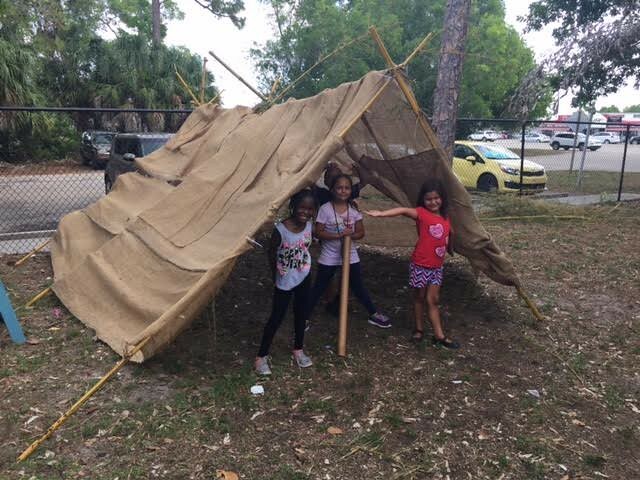 While planning activities for summer camp, Joseph H. Messina Center employees were inspired by their personal camp experiences and decided to help the children pitch their own tent. It's no doubt that our children are growing up in a fast-paced world. Technology is a great connector, but it can also demand that we be instantly available to each other, no matter what. And while it is wonderful to be able to turn on our smartphones and “see” each other all over the world in real time, this often means our children are bombarded with horrific images of war or natural disasters right in their own homes. Where is the "safe haven" for our children these days? This is the question authors Christine Kiewra, Tina Reeble, and Nancy Rosenow ask in their book, Growing with Nature: Supporting Whole-Child Learning in Outdoor Classrooms. I’m fortunate enough to have a career where I work with non-traditional college students. These driven individuals often return to school after working for a number of years, and come back with a variety of experiences and perspectives, and also full families in tow! Did you miss International Mud Day?—or did you enjoy the benefits of International Mud Day and want to recreate it at home? Here are four activities to try in your own backyard—from least messy to messiest! With growing awareness of healthy eating and the value of fresh foods, more and more families and schools are choosing to grow their own gardens for extra food and extra beauty.